Thanks for your participation at CISC18! Conference presentations and audio files have been posted. Please access using the logon information in your conference program. Conference photos have been posted here. This year’s Certified InfoSec Conference (CISC18) will be held October 9-10 at the Westin Tyson’s Corner in the Washington DC area. Now in its fourth year, the Certified InfoSec Conference will bring together professionals focused on the most widely-implemented enterprise security standards: ISO 27001, ISO 22301, CSA STAR, FISMA/FedRAMP, SOC, and PCI. It’s the leading forum for the global certified enterprise security community, including those who develop, assess, specify, support, and implement these standards. In the face of multiplying security threats, organizations are increasingly required to maintain audited proof of management control over cyber security. Whether you’re focused on one standard or several, the Certified InfoSec Conference is the place to learn about the current standards and future path for these standards. ISO 27001, GDPR, FISMA/FedRAMP, CSA STAR, SOC, and PCI. The leading forum for the international Common Criteria community. 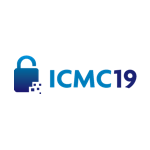 The leading annual event for global expertise in commercial cryptography.